When you first walked into the house, there was this HUGE fireplace. It's real brick and it literally sat smack-dab in middle of the kitchen and into the living area. 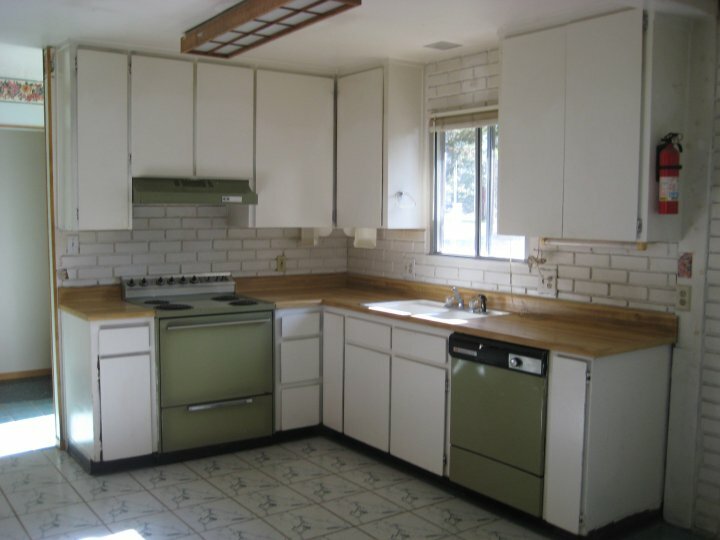 You can also get an idea of what the pea green appliances were like and the awful flooring. The fireplace no longer worked and did not allow for a functional kitchen. 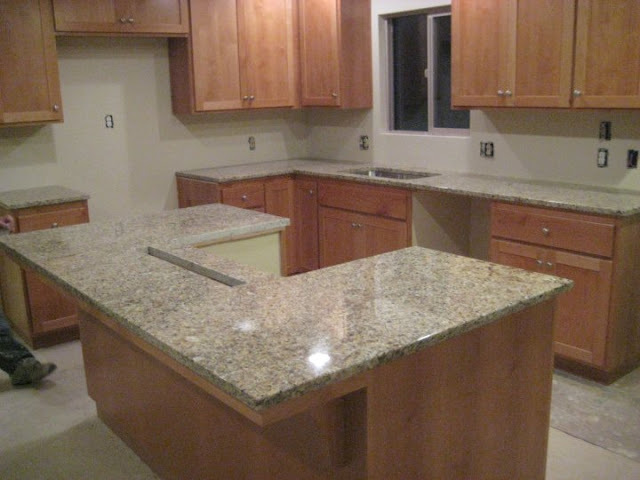 And here is the kitchen in its entirety! 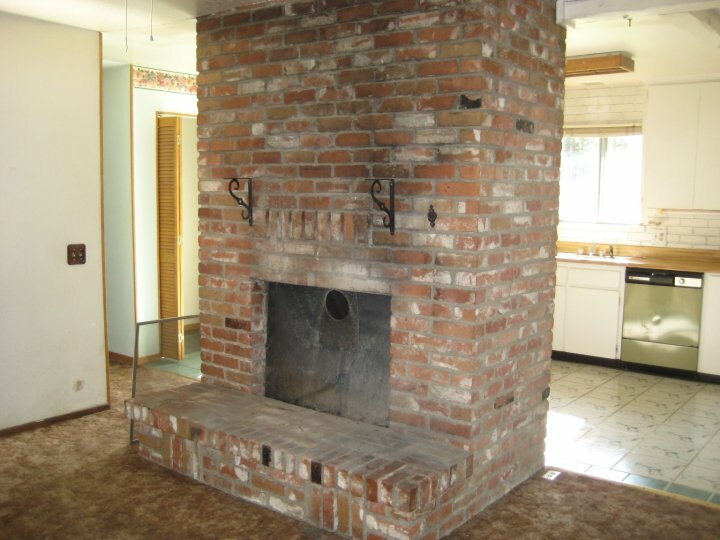 You will notice there is no refrigerator...well it actually sat against the back of the fireplace. The white "brick" facade you see on the backsplash was foam and falling apart. The thing we loved about the kitchen of course, is the great light...so we knew we had something to work with. The first thing we did was rip out everything...and I mean EVERYTHING! And that includes that fireplace. We found out the previous owners actually retro'd the fireplace in and cut major support beams under the house to make way for it. So the floors were replaced and we added a three foot extension to the wall to allow for more cabinet and counter space. We also had to tackle where the new refrigerator would go...which you'll see is against this wall. Where the fireplace was, we decided to add in a skylight...it's been wonderful having the extra light. Also in place of the fireplace, we added a new kitchen island. Sorry for the clutter! Had I known I'd be a blogger now, I would have tidied up for you all! :) The cabinets are solid alder. I've since learned that you do not...and I mean do NOT, paint solid wood cabinets white (which was my original intent, before I knew we were choosing real wood). However, I think these cabinets are nice and warm. 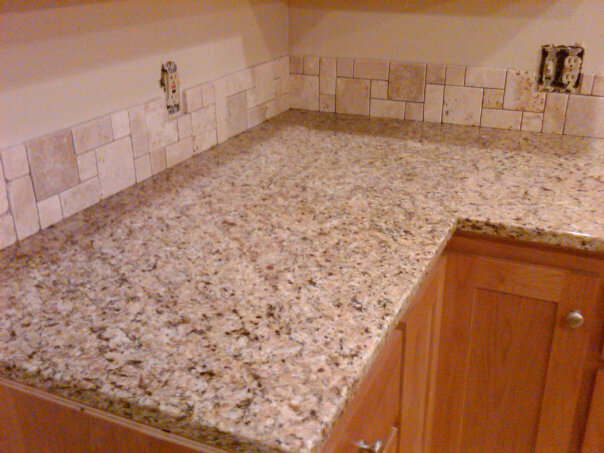 Countertops were HUGE! These are granite and a nice neutral color. You'll notice the cut-out on the island...that's where the new oven/stove is going. The backsplash was fun to pick out...I wanted to do something a little different, yet still neutral. These actually came in a square format, but we cut them in half to make them more linear. Since we went with a lighter cabinet color, I knew I wanted to go with a contrasting wood floor--we thought about tile but that would be too cold up here in the mountains. This flooring is actually a laminate made to look like it's hand scraped wood. I don't know if this photo does it much justice, but it's very sturdy (especially for our cat and dog nails) and with the individual grooves, it looks very authentic. Here she is as a whole! Can you believe this is the same thing as this??? The kitchen hutch on the opposite wall was a find on Craigslist...I think it finishes the space off well and gives us much needed extra storage. How cute are the wine bottle nooks? Here's a close up. We may paint it one day...thoughts? We were able to get a new stainless steel dishwasher and oven/stove. Instead of having a box of dog treats out all the time, I thought it would be fun to put them in this cute jar...from Pier One. The bamboo utensil holder was a wedding gift from Crate & Barrel. The oven was a tricky purchase because it sits in the middle of the kitchen island. We couldn't get a traditional stand-alone stove, since most of these have the part that pops up on the back of the stove that displays the time/settings/etc. We could not get a stove and oven separately...because where would we put them? And we did not want to obstruct the view with a giant hood for ventilation. So we found this flat stove/oven combo from Kenmore and bought the ventilation unit separately. You can see a little sliver of silver behind the stove. You push a button and up it pops! Pretty cool! In the back corner I keep all my cookbooks and favorite kitchen appliance...the KitchenAid Mixer!!! I LOVE the sink...the single basin is amazing...you can fit anything in there and washing pots and pans has never been easier. And a fun "modern" piece we added was the faucet! I'm don't have too many modern accents in our home...though I love it aesthetically, so I thought this would be a fun touch! I love how it almost looks industrial. This is where we extended the wall. We still have yet to replace the refrigerator (you KNOW I'll post about it when we do!) and unfortunately, when we moved this bad boy into the house, it got scraped down the side. So I did what any practical housewife would do, and covered it up! :) It's kind of become a display area for cards, calendars, save-the-dates, and grocery lists. It works for now, but I will be happy to clean it up once we get the new fridge. Here's the full view one last time! You'll notice on the upper left corner the new skylight. These pictures are taken at night, but it really does let in a TON of light during the day. So glad we were able to take what was once a huge dark fireplace and turn it into a nice open place for light to come through. I must say, it was an awarding process to see the whole thing come together and I'm really happy with the way it turned out. We love cooking and entertaining and this kitchen really makes it easy! Your kitchen looks amazing! I love your final picture it makes your house look very warm and inviting. I am definitely coming over next time I am in Tahoe :) O and I love the Ross stools I have a cream colored one in the corner of my room. David laughs at me because I use it to display my cowboy boots and farmer's market flowers haha. I have recently become obsessed with your blog! I hope that you and Ryan are well... your place looks amazing! Miss you both! I'm a follower now! 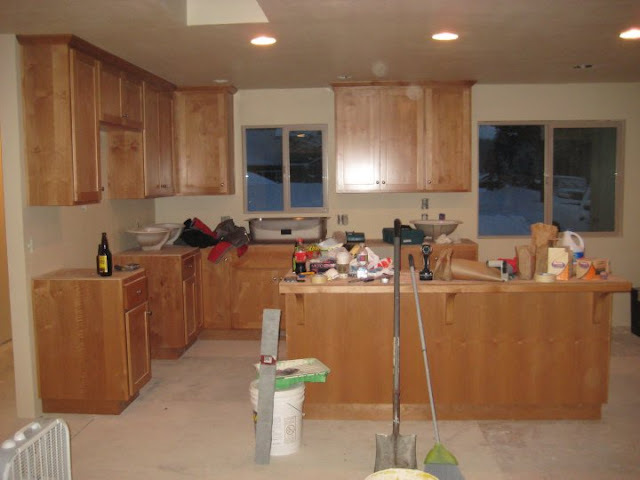 I can't believe the transformation of the kitchen and how much of the work you guys did on your own... very impressive!! The last photo is great, makes your whole place look so warm and inviting, I love the skylight. Awesome kitchen! Did you do all that yourselves? I must ask: Did you do the lighting and ceiling? Mine kitchens almost done except for the hifdrous ceiling and florescent light--yuck! Oh my gosh you guys did a FABULOUS job!! Seriously!! Makes me see the light at the end of the tunnel for our master bathroom renovation! What a transformation! You did a great job! I am your 25th follower. 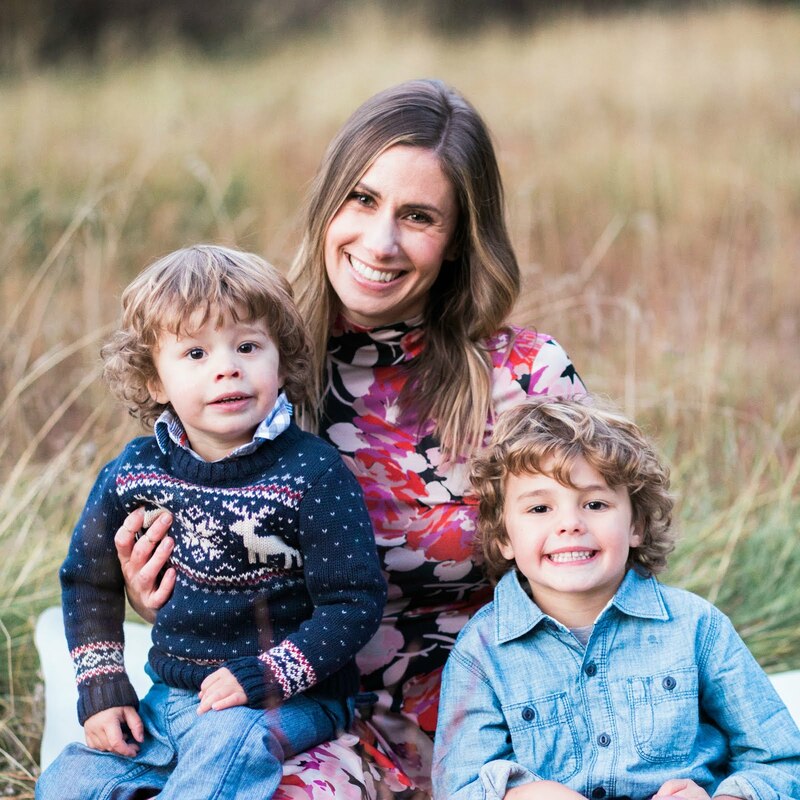 Natasha, so happy to find your blog through Kristin @ Delightfully Dowling. Love your kitchen reno - it looks fabulous! Okay I'm off to check out the rest of your blog - I'm enjoying it so much already! gorgeous -this looks so similar to mine in terms of style and colors and I also have/love my single basin sink! :) I posted the house tour two weeks ago of my kitchen - GREAT job! 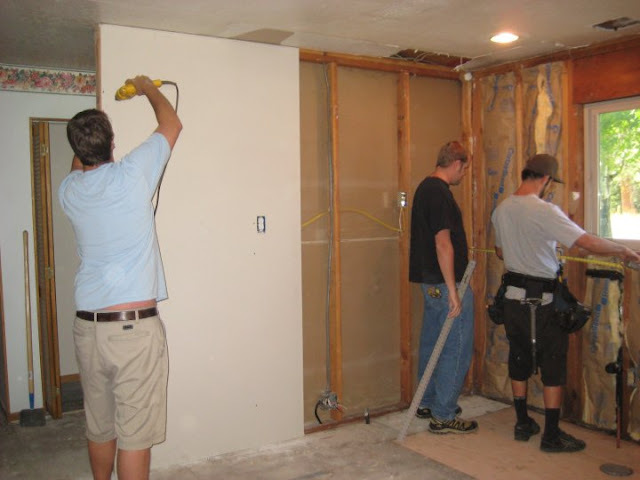 Some of special renovations are Bathroom renovation. Some bathroom add ons are Handicap Bathroom, Handicapped Bathroom Design etc.